Banana pancakes - the epitome of a weekend well spent. Deliciously satisfying, super easy to make and can be ladened with your favourite toppings. Combine the oats, chia seeds, choice of milk, bananas and cinnamon in a blender and whizz together until smooth. In a saucepan, heat a dash of coconut oil (just enough to cover the base of the pan) on a medium heat. Once melted, add 1 heaped tbsp of mixture – leave for about 90 seconds until seared on the underside and then flip. Leave to cook on the other side for another 90 seconds and remove. 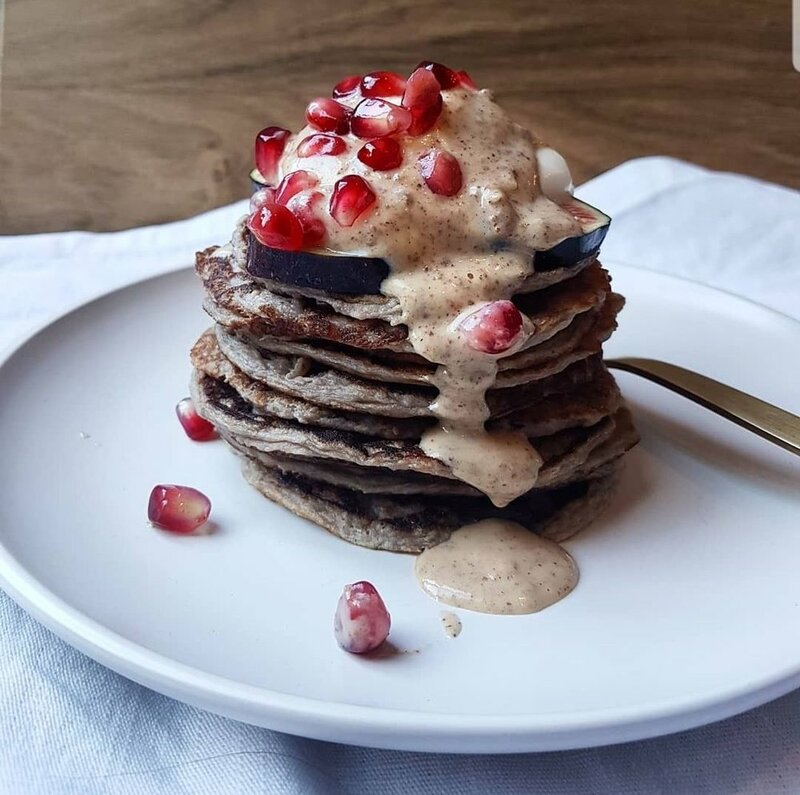 Whilst the pancakes are cooking, make your Nut Blend sauce: heat 3 tbsp milk in a small saucepan on a low heat and add your choice of Nut Blend. Stir until well combined, hot through and ready to pour over your pancakes. 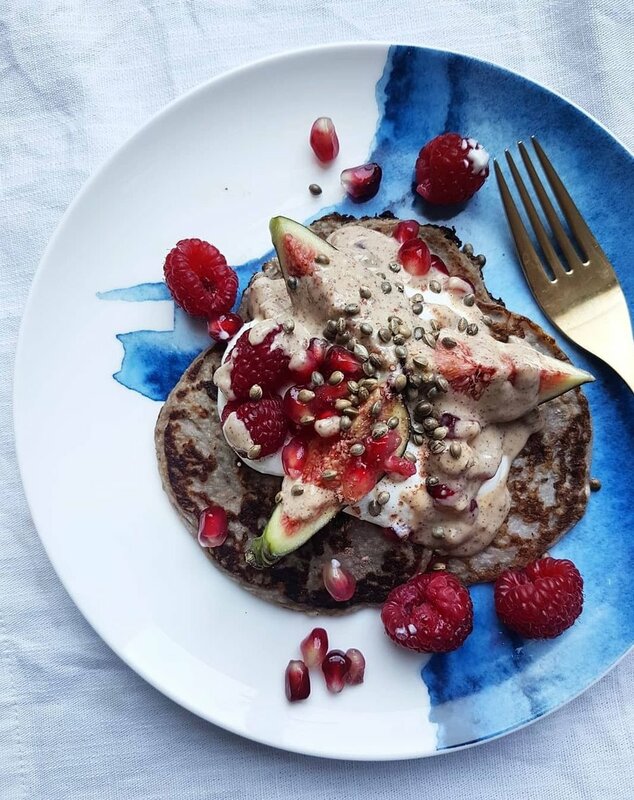 Serve with Yoghurt / Fruit / extra Cinnamon / grated Ginger / Hemp Seeds – anything you feel like! Recipe and photos by Diana Bell-Irving, @foodbydiana.